November turned out to be a busy month. 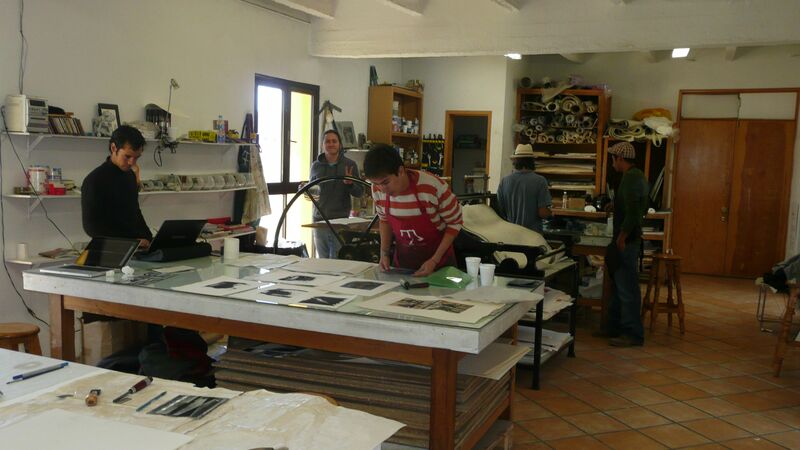 After a successful open studio at Hunters Point, a bout of the flu, and an exhibition at ARC in San Francisco, I headed off at sparrow fart (1.00 am) to fly down to Zacatecas, an hour or so north of Mexico City, to teach a monoprint workshop over the course of a week. It took 15 hours to get there, so I was knackered (tired) when I arrived. I was picked up at the airport by Eric Nava and dropped off at the lovely apartment attached to the Museum of Modern Art in the old town, Museo Grabado. 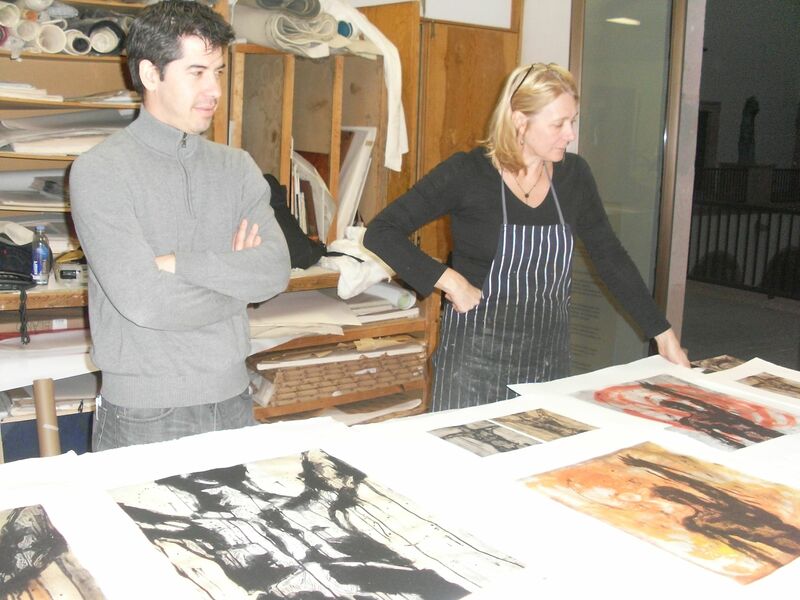 The printmaking facility is housed within the museum, so is very much part of the everyday life there. Next morning I met Plinio Alvina, Director of the Museo, who had invited me to Zacatecas and was to be my translator. Unfortunately, I don’t speak any Spanish, apart from maybe ‘dos cerveza’, which will be good for later, but not much help in the Print room. I had a group of great artists (and unusually for my courses, all men) in the workshop, and had a really interesting and fun week. Unfortunately, Plinio went down with a bug the second day, so I was pretty much translator-less, but thankfully had some help from Eric. I have to say running a workshop in a language I don’t speak was fairly challenging, but the guys all rallied, put up with my pigeon Spanglish and produced some really fabulous work.